How many times have you seen another car and thought to yourself, "Why doesn't my car look/sound like that?" What kind of car repairs would you have to make in order to have a car that runs at top performance? In this article you'll learn simple maintenance and performance tips to keep your car the envy of every intersection. It's 3pm. Do you know where your Owner's Manual is? Chances are, it's in the glove box. When's the last time you read through it? Don't sweat it. 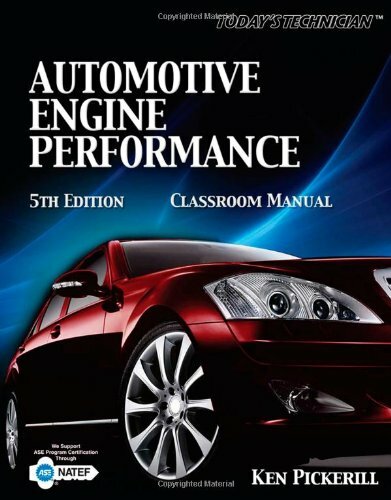 Most of what you need to know about operating your car you'll learn here or by experimenting. I can't help you sync iTunes with your Jetta, but oil, filters, and overall engine performance are universal, and that's what I'll share with you today. By replacing your air filter with a K&N brand filter you boost your performance, fuel economy, and your vehicle's responsiveness. You don't have to replace it with this more expensive brand, however, as just keeping a clean air filter in your engine can help improve all these metrics, just not quite as much. Oil filters clean out physical impurities in your engine's oil before they have a chance to stick. 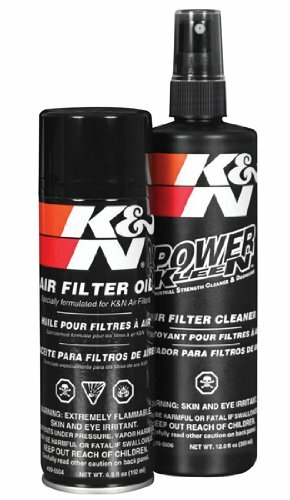 You can choose a K&N filter here too, but the performance boost won't be as noticeable, if at all. Replacing your oil filter can be done every other oil change per most vehicle manufacturer's recommendations, but it doesn't hurt to change the oil filter with every oil change. Most lube shops replace the oil filter with the oil, but this is likely motivated by profit and reducing liability than it is for performance issues. Still, it's a couple of dollars well spent ensuring your engine's oil is being properly filtered. As the saying goes, an ounce of prevention is worth a pound of cure. Clean gas is vital to your engine's performance and longevity. Replacing your fuel filter can allow for improved fuel flow, which actually requires less fuel. When your engine receives the right amount of fuel per revolution of the engine's moving parts, it is able to introduce more air into the system, improving the pre-combustion compression inside the cylinder. This is how turbo boosters work. Turbo boosters are a high-powered fan along the air intake system that forces more air into the engine, causing a hotter spark and improved power on combustion. Your vehicle, no matter how new or how old, is made up of many complex, interconnected systems. From the cooling system to the transmission, there are many fluids of just as many colors and purposes that you need to be aware of and keep up for optimal performance. By replacing these fluids on a regular basis, you will also extend the life of your vehicle by many years. Credit: Flickr user Johny WildeThe transmission is a series of gears that are attached at one end to your engine (where it gets its power) to the wheels at the other end, which obviously makes your car go. Over time, transmission parts wearing against each other produce microscopic shavings of metal that accumulate into visible conglomerates. Most transmissions have filters that help reduce the amount of metal particles floating around in the system, but that only extends the length of time between fluid exchange services. Driving around with a dirty transmission filter reduces the actual flow of transmission fluid, causing excessive heat build up and wear, causing premature failure. This is a biggie. Transmission fluid is usually red. If it's any other color, it's time to service it. Often a bright neon green or pink (to warn of its toxicity), antifreeze contains ethlyene glycol, which prevents the water from boiling. Water boils at 212 degrees fahrenheit, but gasoline burns at 495 degrees. Over time, the accumulated heat can wear down your engine's metal parts. Enter radiator coolant. Coolant runs through a series of chambers over your engine's hottest parts, cooling them as it passes over the engine. It's then transported to the radiator's fins, which allow the heat to escape through its numerous fins. The fins are made so they have a large surface area for air to pass over, which cools the fluid as it is transported through the radiator and back to the engine for another round of heat collection. Over time, coolant loses its ability to cool your engine parts. That's why it is so critical to replace it at the recommended interval. This goes without saying, but you need to change your oil fairly often. Just not as often as you think. If you follow the manufacturer's recommendations, you'll be fine. Lube shops still try to get you in the door every 3 months or 3,000 miles, but that's bull. Read this article about oil change intervals for more details. Even Edmunds tells us to Stop Changing Our Oil. Credit: Flickr user Berslan OzdenYour drivetrain includes the differential (where your driveshaft meets your axles, to turn the wheels) boxes, which also contain fluid designed to keep the parts cool and lubricated. Like the transmission fluid and engine oil, these fluids can become contaminated with metal shavings. But unlike the other fluids, there are no filters for your drivetrain components. Cars that are All-Wheel Drive or Four-Wheel Drive have two differentials (front and rear), and at the recommended interval, it's a good idea to get these checked. If your truck gets put into 4-Wheel Drive only once or twice a year, it probably is unnecessary to perform the fluid exchange on the front differential. A good mechanic can give you proper guidance here. These are all simple auto maintenance routines that any inclined driver can perform in his own garage. 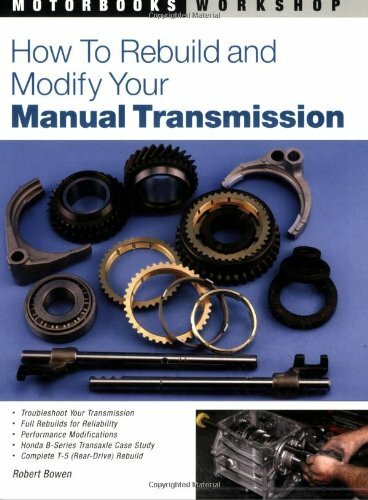 If you're unsure how to do something, make sure you pick up the Chilton's Manual for your vehicle and ask the guys at your auto parts store for guidance. Performing these tune up tricks can save you a lot of money on car repairs down the road, even if you don't do them yourself. The point is that you do them.